Students take rivalry to a new level by ripping off popular song. 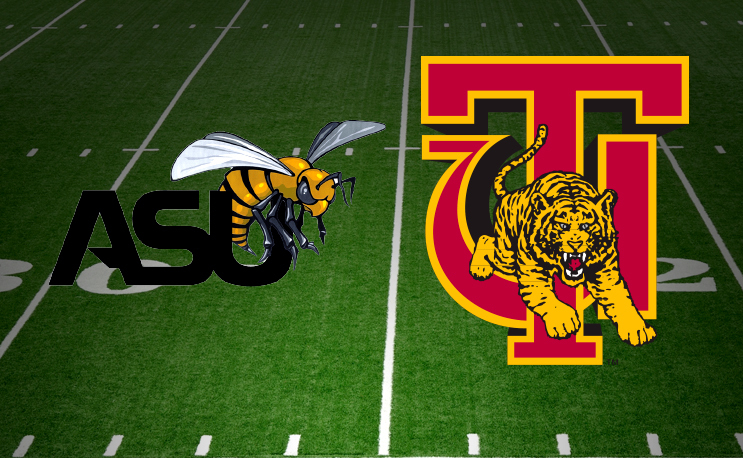 One of the oldest rivalries in HBCU football resumes Saturday night when Tuskegee makes the short trip down Interstate 85 to Alabama State University in the Marion Nine Invitational Labor Day Classic. Kickoff is set for 7 pm CST/ 8 pm EST. The teams haven’t played one another since 2012 when Tuskegee squeaked out a 27-25 victory at ASU Stadium. That was the final meeting between the two in the Turkey Day Classic. Alabama State has the most consecutive wins in the series at nine (1983-95). Football aside, the rivalry took on a new layer of complexity this week when a group of Alabama State students hijacked the crown jewels of Tuskegee University. They ripped, remixed and dissed Tuskegee with their own version of Ball N-Parlay. It’s all fun and games and you always score points when you’re creative and funny instead of just being mean. However to take the one thing that Tuskegee has put their stamp on more than anything else in Black College football did take a lot of nerve. Whether it’s been on social media or in the streets, folks in Alabama have been talking about this one. Both teams will be trotting out new quarterbacks to lead their teams this year. Whoever seizes the moment and settles in under center may have the early advantage. There is no doubt it will be the place to be in Alabama for HBCU football. Count on us for complete updates on social media and a thorough recap of the game on Sunday. “Alabama State has the most consecutive wins in the series at nine (1983-95)” This article starts out completely bias who cares who has the most consecutive wins? Tuskegee has the MOST wins out of the record period!